Rovie Baulete and Steven Sonsona lead the chase in the premier girls’ and boys’ 18-and-under divisions, respectively, with Faye Lim and Lex Estillore bannering the 16-U cast and Kristine Bandolis and Nash Agustines gaining the top seeding in their respective sides in the 14-U play of the Group 2 tournament presented by Dunlop. 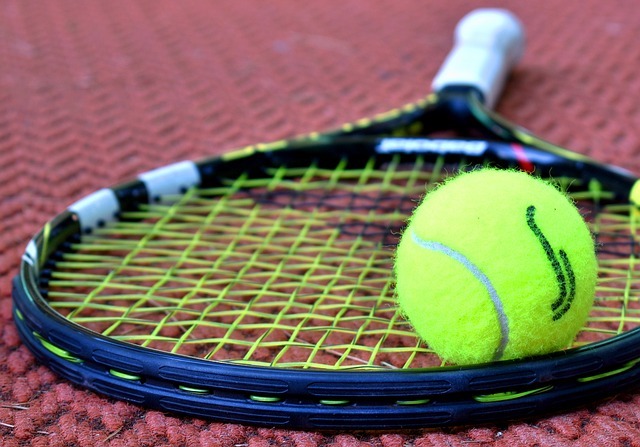 Close to 200 entries are vying for titles in nine age-group divisions in singles play while five more are up for grabs in the doubles category of the week-long event hosted by Stanley Noval at the Tubod-Laneco-Baroy tennis courts. Ma. Judy Anne Padilla, meanwhile, looms as the player to beat in the girls’ 12-U side with Aslan Carbonilla facing a tough set of rivals in the full-packed 32-player draw while Garlandson Ardiente, Janus Rosales, Wyn Sanchez, and Pete Bandala are tipped to dispute the 10-unisex crown in the tournament serving as the first of three legs making up the Lanao del Norte swing of the circuit put up by Palawan Pawnshop headed by president/CEO Bobby Castro. Kapatagan will host the next stop on Sept. 19-24 with the third leg set in Maranding from Sept. 28-Oct. 1. List up is ongoing. For details, call PPS-PEPP Program Development director Bobby Mangunay at 0915-4046464. The year-round, nationwide circuit, sanctioned by the Unified Tennis Philippines, made up of PPS-PEPP, Cebuana Lhuillier, Wilson, Toby’s, Dunlop, Slazenger, and B-Meg, is coming off a successful three-leg tour in Zamboanga del Norte where Salug native Sydney Ezra Enriquez racked up six singles titles in the 16- and 18-U divisions in Liloy, Salug and Sindangan legs. Meanwhile, others tipped to crowd Baulete in the 18-U division are Carmabelle Gervacio, Janmarie Anghag and Faith Virgo with Jose Maria Pague, Nilo Ledama and Estillore out to foil Sonsona in the boys’ section.